WOAH ! What happened to maps 55 and 56 ? 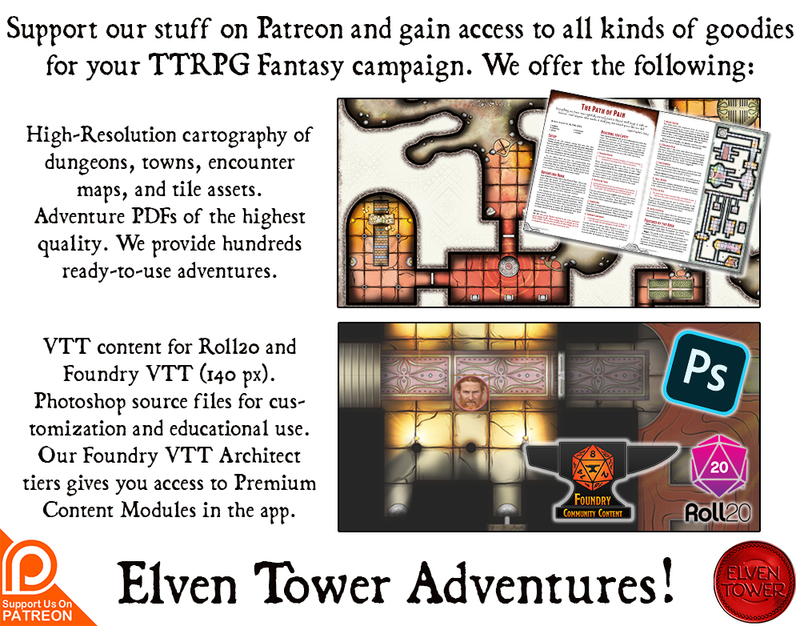 Some maps are only released as Patreon exclusive content. If you like my maps and would like to have access to all my creations. Consider joining our boat, sponsoring me. You will get access to all the material in Hi-Def version. The stubborn. None will ever know why some people are stubborn enough to live in places where it would seem impossible for the majority of folks. That goes for settlements in remote islands, clinging from mountain tops, in the middle of deserts and people living inside swamps. Places that are simply inhospitable, but still, townsfolk cling to their traditions and make the best of efforts to survive. Most people living in this places were born there and that’s all they know, that is their reality and we all know everyone fights to keep their world the way they like it. This is a small hamlet in the middle of a swamp. Very few people live here, but the ones that do, are used to this dangerous place, and ready to defend it. Since agriculture isn’t an option, most people here are hunters or fishermen. Some of them are good swordsmen, even. Constant threats to people here are natural dangers like crocodiles, snakes, poisonous insects and, from time to time, a bigger problem like wandering undead. But people here are rough and tough. Although the town is built on a relatively dry patch of land, sometimes the water level rises. That’s why every house is built above the water level, on platforms. 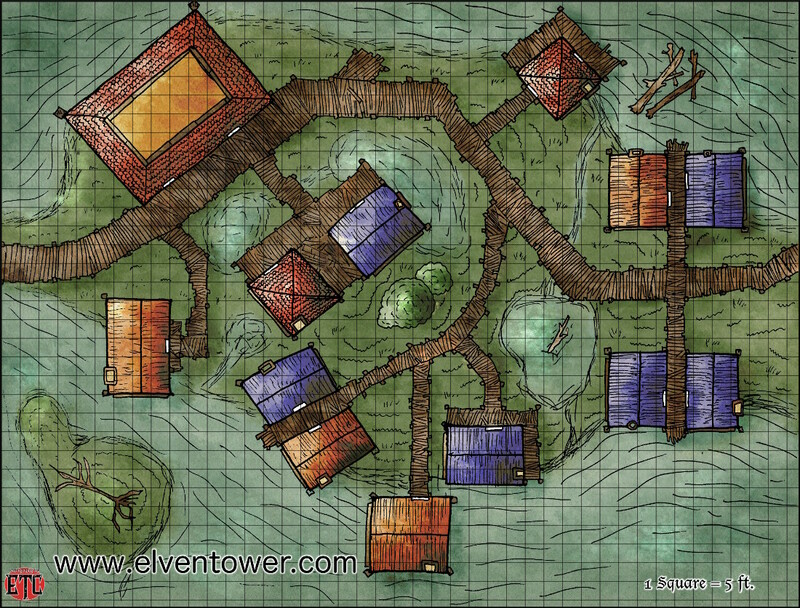 This small hamlet could be a safe haven for travelers trying to traverse a swamp. The big building can serve as an inn. That can bring a little more prosperity and coin to the town. Some of the more seasoned hunters can offer their services as guides. Townsfolk general personality: Untrusty, rough, strong willed.